NEW DELHI, Nov 28 2013 (IPS) - Food security activists who secured a moratorium on introducing genetically modified brinjal (aubergine) into India fear that their efforts are being undermined by the release of GM brinjal in neighbouring Bangladesh. 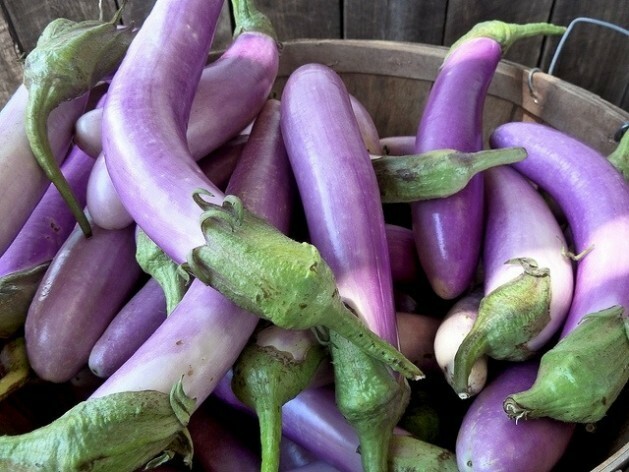 “India and Bangladesh share a long and porous border and it is easy for GM brinjal varieties to be brought over,” says Suman Sahai, director of Gene Campaign, a Delhi-based research and advocacy group devoted to the conservation of genetic resources and indigenous knowledge. GM brinjal is spliced with a gene derived from a soil bacterium to confer inbuilt resistance against the fruit and shoot borer pest, and reduce dependence on pesticide spraying. The U.S.-based Monsanto Corp., which owns the patents for GM brinjal, markets the seeds through Mahyco, an Indian subsidiary. "India and Bangladesh share a long and porous border and it is easy for GM brinjal varieties to be brought over." Sahai tells IPS that although Bangladeshi authorities have prescribed strict sequestration of its GM brinjal crops, there is real danger of genetic contamination of Indian brinjal varieties through natural cross-pollination in the long run. According to an Oct. 31 announcement by the Bangladesh Agricultural Research Institute (BARI), cultivation of GM brinjal would be carried out under official supervision. Farmers would first be trained to take bio-safety measures, and the produce would be clearly labelled at the markets. However, such measures are considered inadequate by the Coalition for a GM-Free India which has called on the Indian government to ensure that there is no illegal or unintentional transfer of seeds or of the crop across the common border. “Since the India-Bangladesh border is porous, we demand a ban on the import or transfer of crops, fruits, seeds and food of brinjal and related species, genus or family, which have remotest possibility of contamination directly or indirectly through Bt Brinjal,” the coalition members said in an open letter to India’s Minister for Environment and Forests in October. According to Chitra Devi, a scientist with India’s National Bureau of Plant Genetic Resources, the structure of the brinjal flower favours rapid cross-pollination. “Contamination with the bacterial genes spliced into GM brinjal would be rapid and irreversible,” she tells IPS. Such concerns guided the 2010 Indian moratorium on the cultivation of GM brinjal that was supposed to have become India’s s first GM food crop. Prospects for cultivating GM food crops in India further receded in July when a technical advisory committee (TEC) appointed by India’s Supreme Court recommended a 10-year moratorium on all field trials of GM food crops. “Based on the examination of the safety dossiers, it is apparent that there are major gaps in the regulatory system,” the TEC informed the apex court which is continuing to hear arguments for and against the recommended moratorium. The TEC had also recommended a ban on the “release of GM crops for which India is a centre of origin or diversity,” which rice, brinjal, and mustard. Earlier in August 2012, the parliamentary standing committee on agriculture had called in a report for a complete ban on GM food crops in the country. Provincial governments in states like Himachal Pradesh, Bihar, West Bengal, Orissa, Madhya Pradesh, Karnataka, Andhra Pradesh and Kerala have also opposed GM food crops. Devinder Sharma, chair of the independent collective Forum for Biotechnology & Food Security in New Delhi, believes that it is no accident that the Bangladesh Agricultural Research Institute resorted to GM brinjal technology from Mahyco, the Indian subsidiary of Monsanto. Akhtar said the threat was not only to the Indian sub-continent but to Bangladesh itself with its over 100 varieties of brinjal that now stand to get contaminated through cross-pollination. “UBINIG alone has a collection of 41 different varieities,” she said.